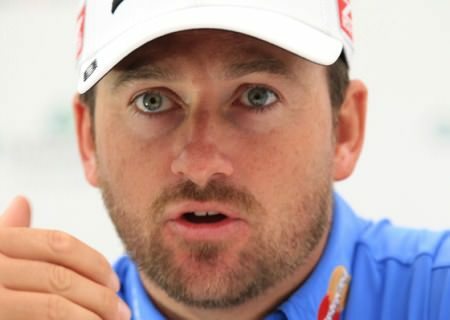 McDowell spent his youth honing his game on the fairways of Royal Portrush, which hosts the event from June 28 to July 1, and is relishing an “extra special” week as the Irish Open visits his home town – the first time the tournament has been played in Northern Ireland since 1953. The 32 year old has won seven European Tour titles – none more impressive than his victory at the US Open Championship at Pebble Beach in June 2010 – but he believes tasting glory in his own back garden, in front of friends and family, would be up there with the finest moments of his illustrious career. “It’s a dream come true for me to play a tournament of the magnitude of the Irish Open at Royal Portrush,” said the Ryder Cup star. “Having lived and grown up in Portrush all my life, it’s definitely a dream come true and I’m going to be very proud to welcome The European Tour to my neck of the woods. “The Irish Open has always been one that I’ve targeted every year. I’d love to win it. I’d love to compete in front of my home fans and pick up the trophy, but to have that at Royal Portrush is extra special for me and there’s no doubt it will be highlighted on my schedule. “It would definitely be one of the proudest moments of my career. To win the Irish Open at Royal Portrush would be right up there with a Major Championship. The current World Number 17 is delighted with the positive reaction to the Irish Open’s relocation north of the border for the 2012 edition, and attributes the level of excitement about the event to the recent success of Northern Irish players. With Rory McIlroy, the current World Number Two and the successor to McDowell as US Open Champion in 2011, and Darren Clarke, the reigning Open Champion, already signed up for the Irish Open, the level of anticipation is reaching fever pitch. The 14th at Royal Portrush as depicted by Patric Dickinson in his classic book, A Round of Golf Courses.McDowell said: “I’ve had amazing feedback via Twitter and friends and family. The people in Ireland, in general, are so excited about Irish golf. Everyone has got behind Northern Irish golf and we’re very proud to have the Irish Open up north of the border for the first time since the 1950s. 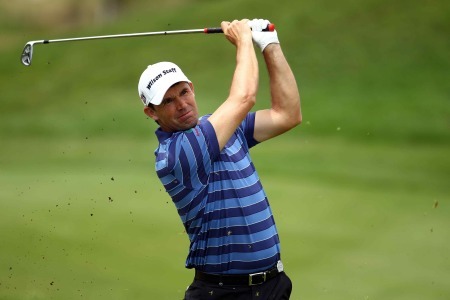 “The fans in the north are very excited to have a European Tour event that side of the border and they are very proud of what Darren and Rory and I have achieved in the last few years in winning Majors. “The response I’ve had via family, friends and Twitter is that people are going to come in their thousands to support a great venue and a great golf tournament. “As well as Darren, Rory and me winning Majors, you have Michael Hoey winning twice last year and Gareth Maybin playing very well on The European Tour. We do have a huge amount of strength in golf from Northern Irish players and it’s probably got a huge amount to do with the accessibility of golf for young kids growing up in that part of the world. As for the venue itself, McDowell will undoubtedly have the advantage of inside knowledge, having become accustomed to every nuance of the famous course over the years. “Royal Portrush is such a great layout,” he said. “I think we’ll be able to attract a great field and it’ll be an exciting week. “It features very heavily in the top 50, top 100 courses in the world in most golf polls every year. The north coast is beautiful and the sights and sounds up there are pretty magnificent. The layout at Royal Portrush is one of the best links layouts. “It flows beautifully and the championship tees are fantastic. 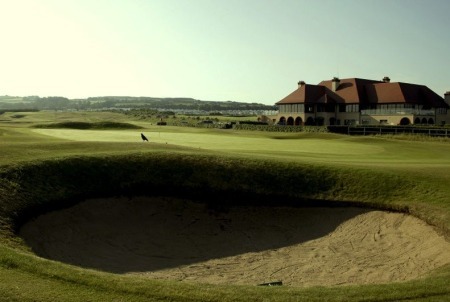 Of course I’m a little biased, but it really is one of my favourite links courses on the planet and I’m going to be very proud to welcome The European Tour to what I think is a fine golf course. “I feel Royal Portrush is very much a tee-shot course. You’ve really got to position it well and stay out of the bunkers. If you can drive it well you’ve got a chance to score. And, as with all links courses, it’s about the weather. If you get a calm day the boys will score low, there’s no doubt about that. But protection comes in the pin positions. It’s a sell out. Rafa Cabrera-Bello tees off in the Irish Open Pro-Am at Royal Portrush. Picture ©Getty ImagesIrish Open mania tees off tomorrow with Royal Portrush a complete sellout for all four days. Crowds will officially top 108,000 making it the first sellout and the biggest regular event EVER on the European Tour outside The Open or a World Golf Championship. Graeme McDowell would love to see a €5m Irish Open on a links course nearer to The Open. 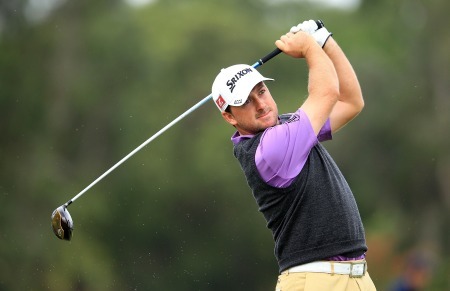 Picture: Fran Caffrey / www.golffile.ieDeep thinkers are in short supply among the golfing elite but Graeme McDowell could never be accused of failing to think outside the box when it comes to the fate of the beleaguered European Tour.